Play Soccer Ghana in collaboration with Manchester City have launched the “Kicking for Change Project” in Cape Coast on Saturday 17th February, 2018. The project is a three year activity supported by Manchester City Citizens Giving with the aim of improving upon educational attainments, healthy well-being and life skills among young people. Currently, seven  institutions in the Central Region are participating in this project. 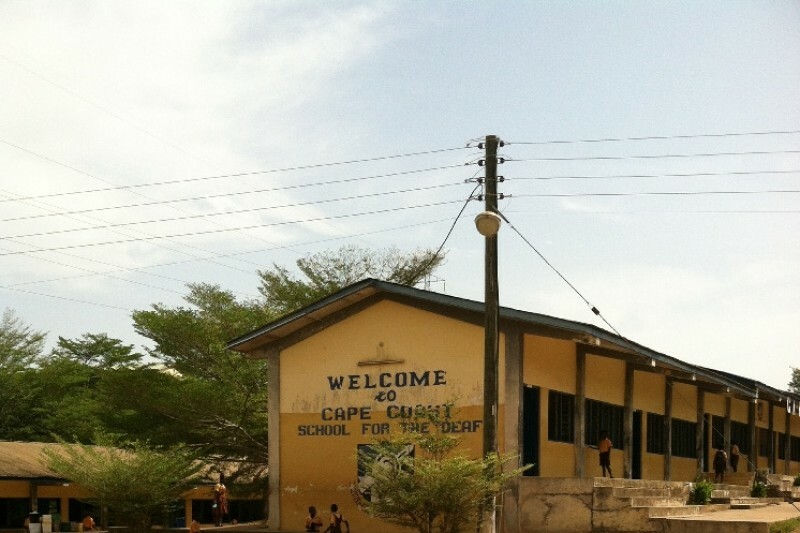 They include Cape Coast School for the Deaf, Elmina Catholic Cluster of Schools, Imam Khomeini Islamic Basic School and Dehia Arabic School amongst others. In the welcome address by the Board chairman read on his behalf by Mrs. Georgina Quaisie a member of the board, he espoused the significant and important role the project will play in the lives of the participating communities. “Apart from raising community football profile, the project will also make young people happy and learn new skills which will help them find jobs” he said. The Country Director of Play soccer Ghana, Mr. Franklin Asuo revealed that the extra classes which were held across the seven participating schools of the project records an average monthly attendance of over 85 percent. Furthermore, he stated that “a survey conducted among the beneficiary of the project showed remarkable achievements”. The guest speaker of the occasion, Mr. Felix Aboagye a former player of the Black Stars expressed his joy for the whole project since it will help unearth football talents in Ghana and also improve the lives of deprived people. Felix Aboagye asserted that “Our generation did not benefit from such a wonderful project and I believe this project will go a long way to help poor children in the Central Region and Ghana”. Oguaamanhen, Osabarima Kwasi Attah II who chaired the occasion thanked Manchester City for this wonderful project and encouraged them to renew their contract when it expires.